Our most affordable two bedroom family apartments have a queen bed in the first bedroom and two single beds in the second bedroom. 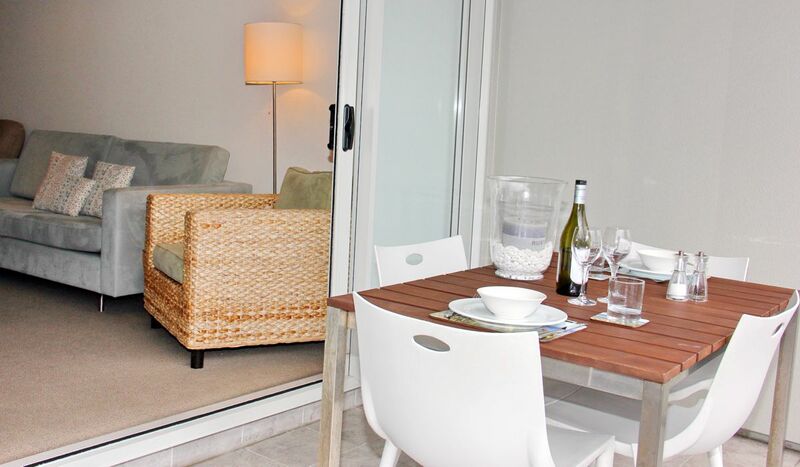 There is one bathroom and outdoor furniture to enjoy out on the private balcony. 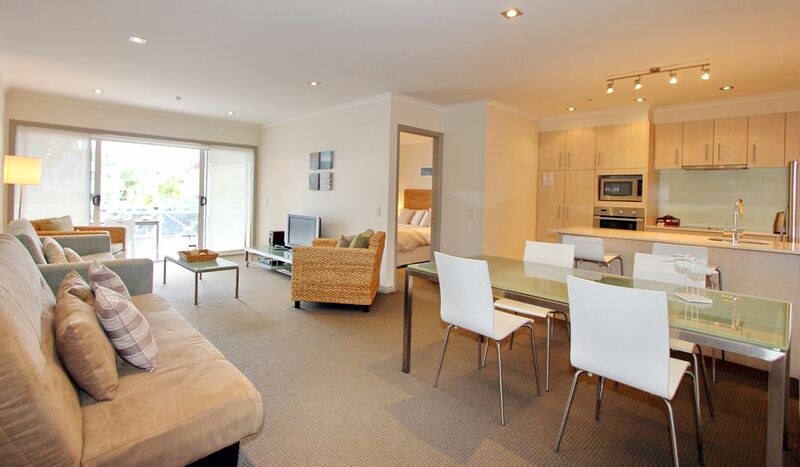 These apartments have spacious living areas with flat screen televisions and SKY TV (50+ Channels). Featuring a fully equipped kitchen with dishwasher, microwave, oven and hobs. Each apartment also has full laundry facilities including a washing machine and dryer.